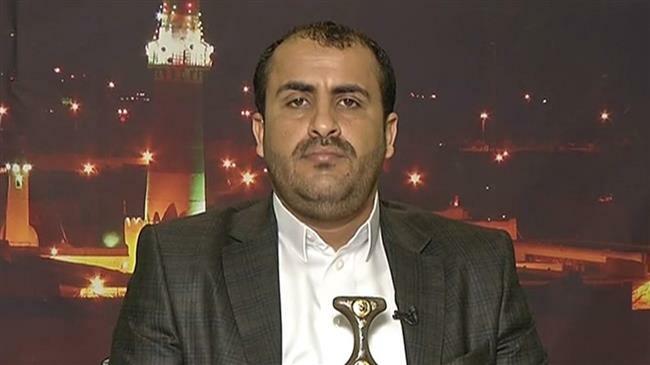 Mohammed Abdul-Salam, the movement’s spokesman, made the remarks in a statement carried by Yemen’s Arabic-language Ansarullah news portal on Sunday. He said the UAE’s offensive against the Yemeni city had not been stopped. Abdul-Salam’s comments came just a day after UAE Minister of State for Foreign Affairs Anwar Gargash announced a pause in the offensive against the city, saying that the halt was meant to give a chance to UN efforts aimed at resolving the conflict. On June 13, Emirati forces and militia loyal to former Yemeni President Abd Rabbuh Mansur Hadi launched a major offensive to take Houthi-held Hudaydah, a densely-populated city and the war-torn country’s most vital port, which is the entry point for 70 percent of the impoverished country’s imports. The offensive, however, has so far failed to achieve its goal, thanks to firm resistance mounted by Yemeni troops and Houthi fighters in defense of the city. The attack was also launched despite warnings that it would compound the impoverished nation’s humanitarian crisis. Elsewhere in his remarks, Abdul-Salam said that the UAE’s declared ceasefire was in fact an attempt to whitewash its failure in occupying Hudaydah. He said although the Houthi movement accepted the UN’s technical and managerial roles in Hudaydah, it would not accept the world body’s observatory role in the city. The Houthi movement, which is a significant aid to the Yemeni army in defending the country against the invading forces, has been running state affairs in the absence of an effective administration during the past three years. Meanwhile, Dhaifallah al-Shami, a member of the political bureau of the movement, said the UAE, the most significant ally of Saudi Arabia in the so-called military coalition led by the regime in Riyadh, is trying hard to pull itself out of a bog it created in Hudaydah and the western coast. He added that the Emirati troops had a hard time in the area and that Abu Dhabi was desperately seeking a way out of the deadlock in the Yemeni province. Saudi Arabia and some 20 of its allies, including the United Arab Emirates, Morocco and Sudan, launched a brutal war, code-named Operation Decisive Storm, against Yemen in March 2015 in an attempt to reinstall Hadi, a staunch ally of Riyadh, and crush the popular Ansarullah movement. The imposed war initially consisted of a bombing campaign but was later coupled with a naval blockade and the deployment of ground forces into Yemen. The Saudi-led aggression has also taken a heavy toll on the country’s infrastructure, destroying many hospitals, schools, and factories. The United Nations has already said that a record 22.2 million Yemenis are in need of food aid, including 8.4 million threatened by severe hunger. A number of Western countries, the United States and Britain in particular, are also accused of being complicit in the ongoing aggression as they supply the Riyadh regime with advanced weapons and military equipment as well as logistical and intelligence assistance.